Join the Vancouver Biennale at the 17th Annual Ocean Concrete Open House! 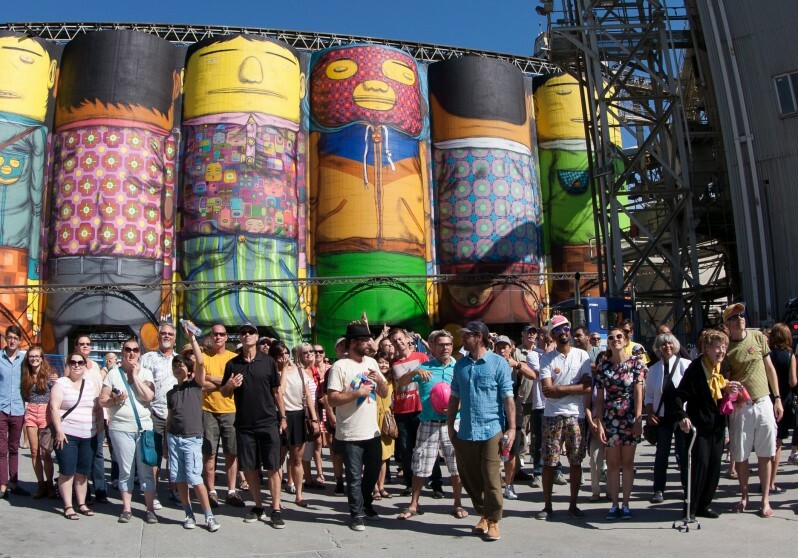 This is the one day a year when you can walk around the Ocean Concrete compound and explore Giants by OSGEMEOS up close and personal. Biennale staff will be around to lead hourly tours of the Giants and provide information about our current exhibition and upcoming events. Have you ever wanted to honk one of those horns from the inside of a concrete truck? Or how about climb up into the cab of North America’s largest concrete mixer truck? The Ocean Construction Supplies Open House is your opportunity to fulfill these desires! Ocean will have interactive displays, prizes, and tours of the plant. Learn about the many uses of concrete, see the history of the Granville Island location with vintage trucks and photographs, and find out why Ocean is the industry leader in environmental accomplishments. Rain or shine, it promises to be a blast!